Kolton and I leave the house for 8 or more hours everyday during the week. 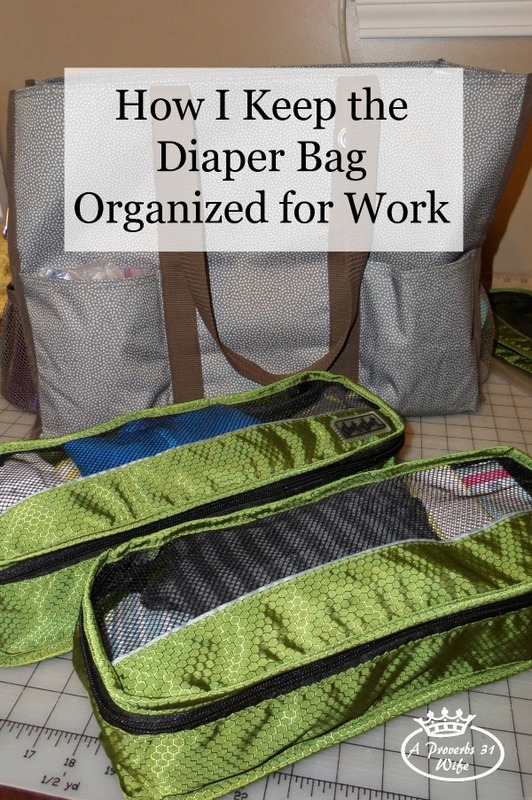 That means packing a ridiculous amount of stuff into my diaper bag each day and people have wondered how I stay organized while on the go. 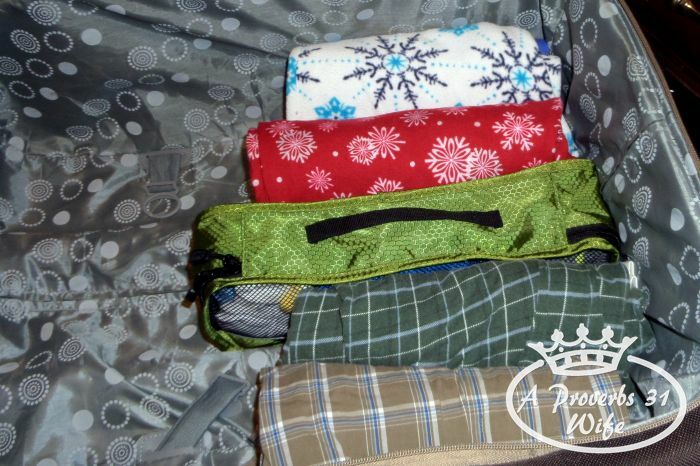 I use a nice large bag from 31 Gifts that is the perfect size to carry everything we need including lunch and my laptop for those days when the kids nap together. But herein lies my problem. Everything gets dropped in the bag and I’m never quite sure what is in there. 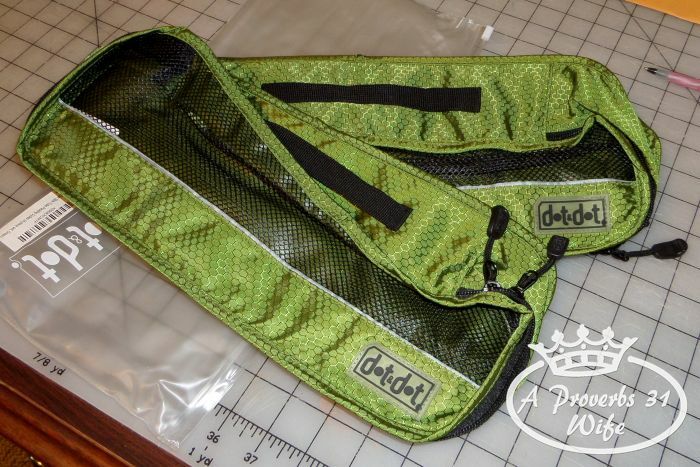 I was considering putting outfits in zip lock bags to help keep things organized when I was offered the opportunity to review organizing packing cubes from Dot&Dot. Enter these amazing little tubes! These slim tubes measure 14 x 5 x 2.75 in and are really designed for packing suitcases (more on that in a bit). 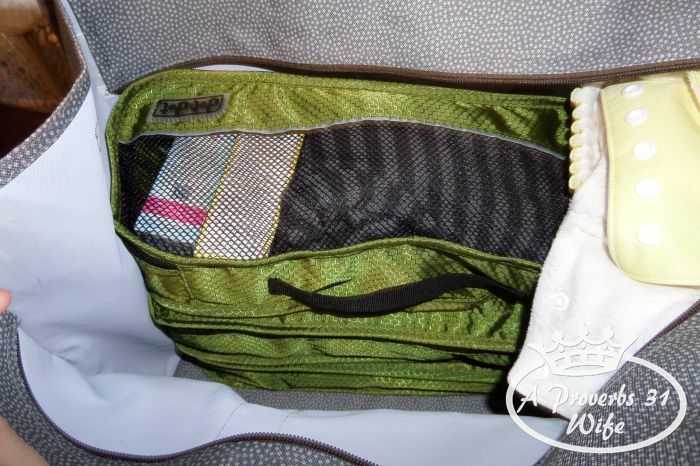 However they are absolutely perfect for my diaper bag! 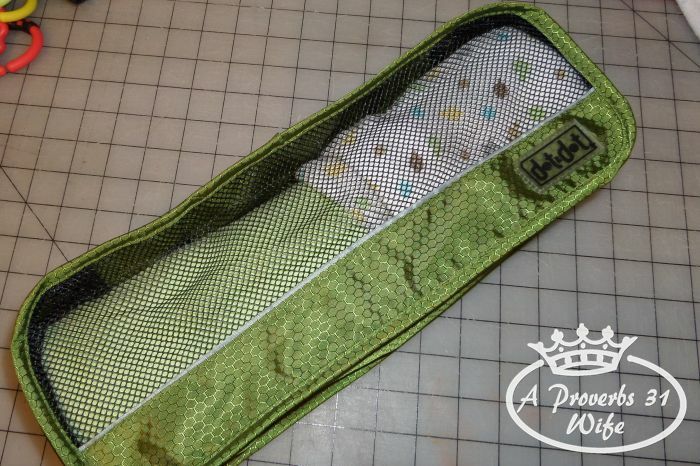 I can roll up the extra blanket, burp towel, and bibs in one. Extra outfits in another and things like colic drops, and other small things in another. They all three stack nice and neat on top of each other and leave a spot for diapers, lunch bag and my computer. 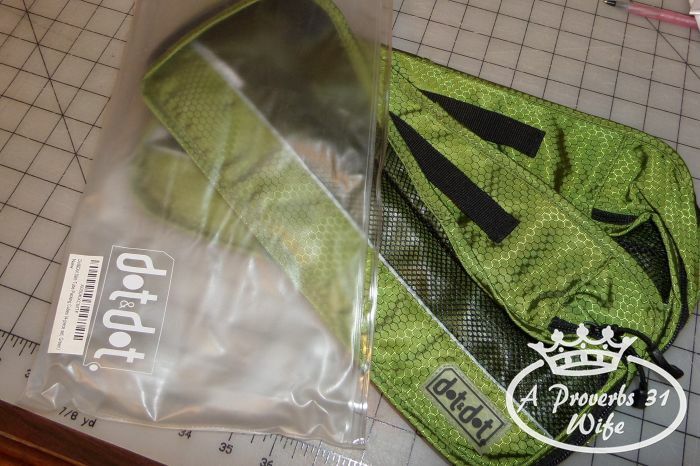 They don’t slip and slide around like plastic bags would, and the mesh allows me to easily see what I have in my bag and what I need to “restock”. Now here’s the thing: These slim tubes are really for suitcases and packing clothes! With the holidays coming up, we will be spending weekends here and there which means packing suitcases. How are slim tubes supposed to help with packing suitcases? It seems like my socks and underclothes always go missing in my suitcase. As well, small things like phone chargers and stuff can really get stirred around. I will use one slim tube for socks and underclothes, and another one for phone chargers and stuff. But won’t these tube thingies get in the way and take up too much space, you wonder? Well no. Everyone knows that rolling your clothes up, fits more clothes in and they stay organized better (you DID know that right? 😉 ) and the slim tube fits right in. I put the tube in the middle of my suitcase right between those bars for the extendable handle and then the rolled clothes fit perfectly on either side! I am really excited about these tubes and hope that there will be much less stirring the next time we travel. Knowing what I have with me and where it’s at will be really nice! Do you get annoyed when your suitcases are a mess? You will definitely love the Dot&Dot bags as well!